Spend $25, Get $5 Off Select Office Items. Discount Applied in Cart. Solid and weighted. Perfect for my home office. 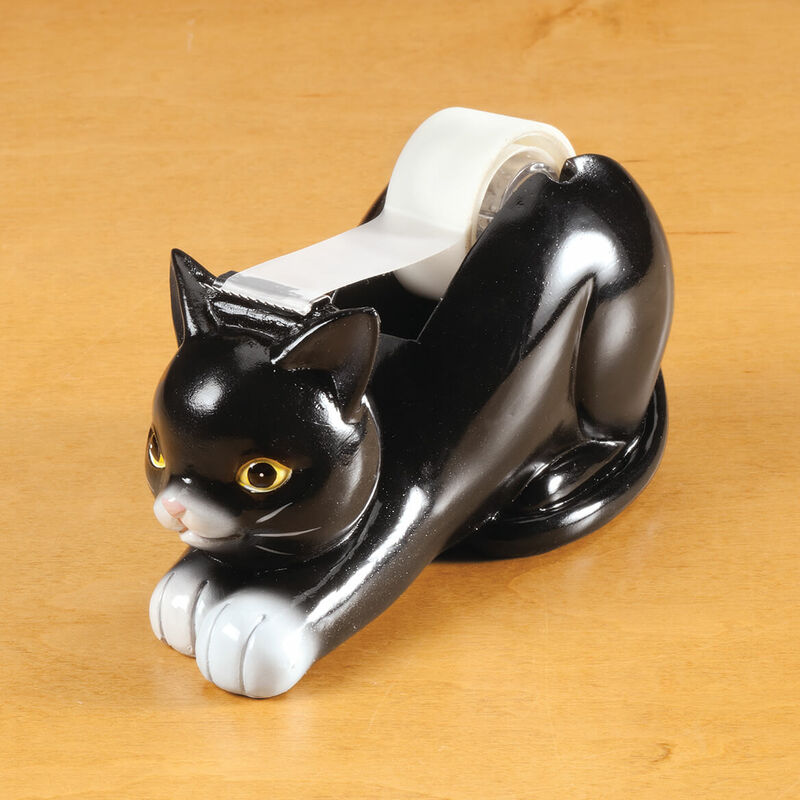 Looking at my cat tape holder puts a smile on my face. It reminds me of my precious cat that I miss so much. .
to hold my tape I hade to glue the part that cut the tape back on other than it is good. Some items I needed, but mostly I liked all of the items. I couldn't find one like this in the stores. Have a child that likes cats. My daughter in law loves cats, and this will look cute sitting on her desk. For my granddaughter's new desk for Christmas. We are animal lovers! And it is cute! I have a co-worker who likes cats. I just love cats!!! This will be perfect on my desk. Got this for Mom Birthday and because It looks Just like Rosie.